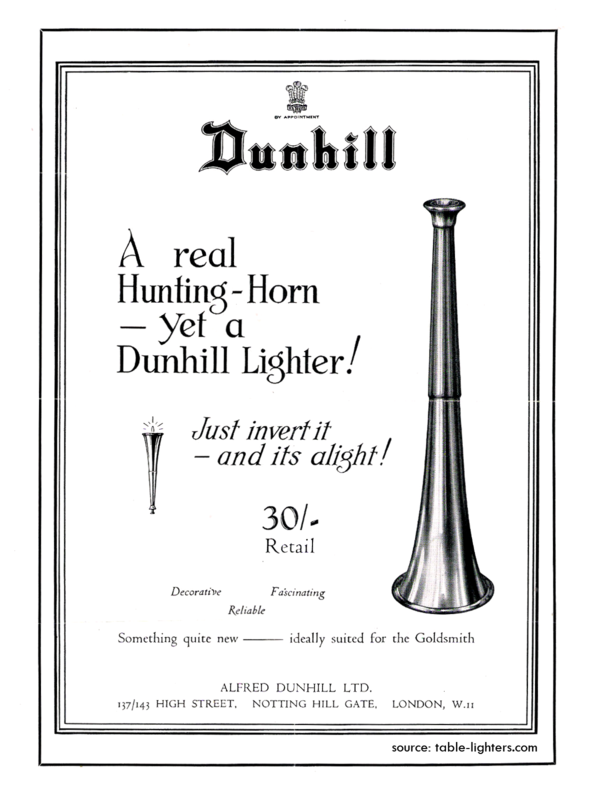 A very interesting example of the 1930s ephemera – a letter from Alfred Dunhill Ltd. sent to their wholesale clients advertising a new model of a table lighter – the Dunhill Hunting Horn Lighter. 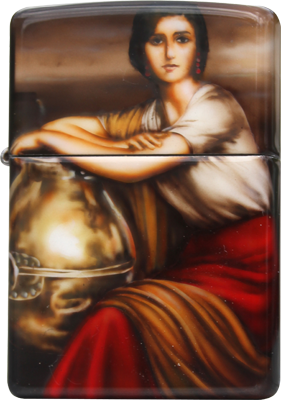 Claudio Mazzi is known in the Zippo World as number one in airbrush painting since 1985. Although Mazzi is by far the most popular in this field other artist are trying to go his path and do air paint Zippo lighters for private collectors and organizations. One of them is Maciej Książek (maaks) – a young Polish airbrush artist living in the United Kingdom. He started airbrush painting of Zippo lighters in 2012. Below are two projects from his portfolio. On the right a beautiful example of Mazzi's piece of art. You might be also interested in seeing the portfolio of Art Enchent and Claudio Mazzi. 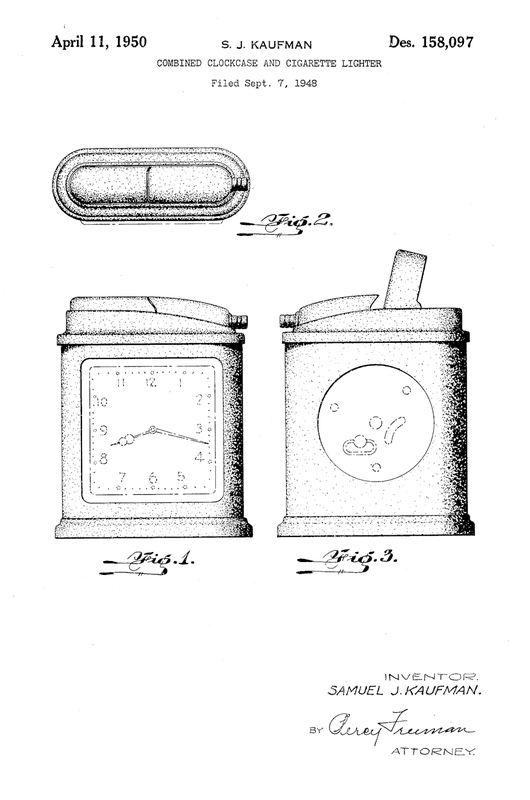 This is an interesting Combined Clock Case and Cigarette Lighter design patented (158,097) by Samuel J. Kaufman on Apr. 11, 1950. This combo was marketed and made by Phinney-Walker in the early 1950s. Another Phinney-Walker Alarm Clock Lighter was described here. Here we have a postcard from the First World War dating 1914–1918. 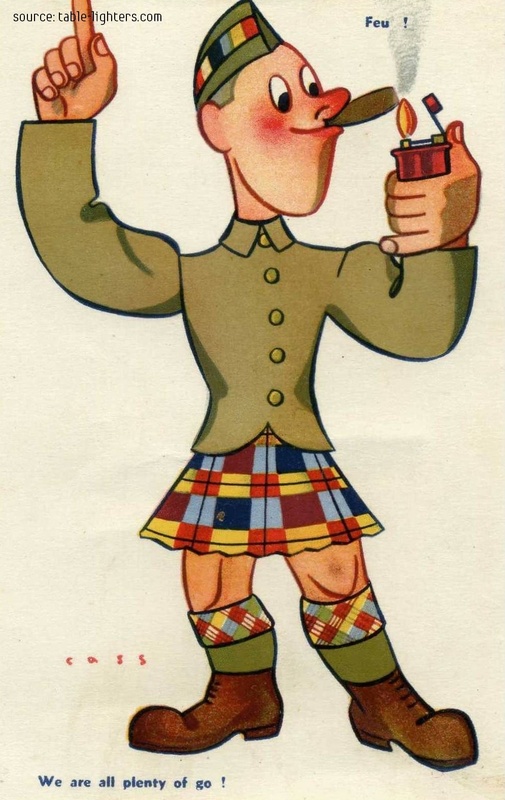 The postcard is depicting a soldier in an strange outfit firing a cigar lift-arm lighter. 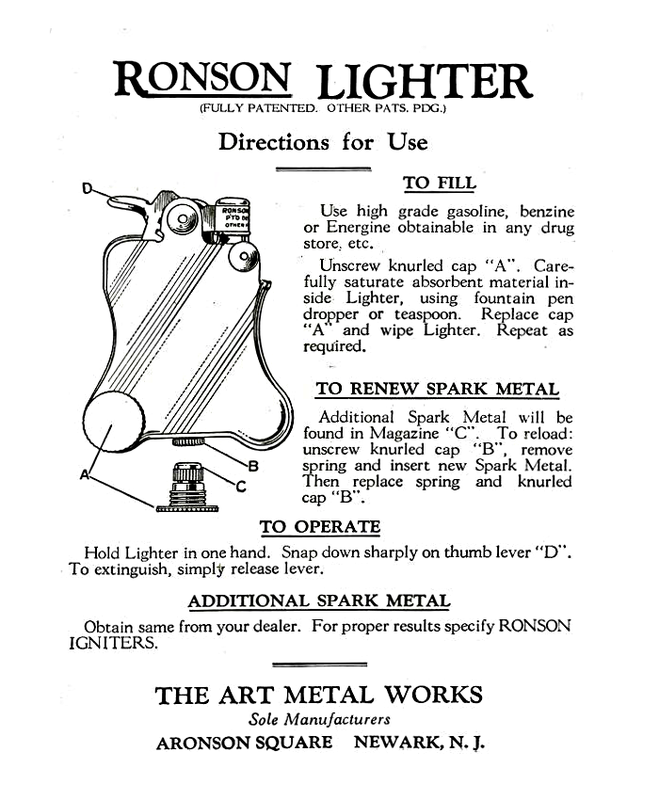 The first automatic pocket lighter Ronson Banjo was marketed by Art Metal Works, Inc., Newark, N. J. between 1926 and 1928 in the United States. Here we have the instruction sheet for it. 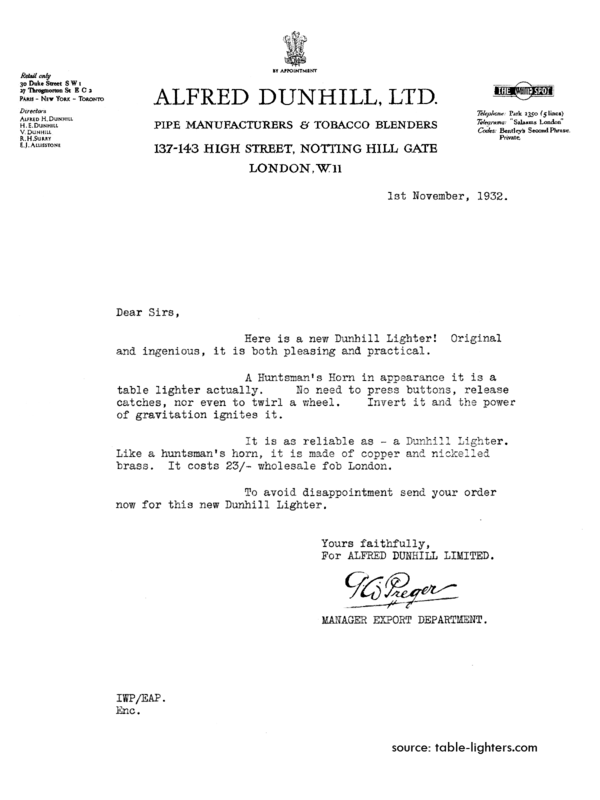 How are St. Dupont Lighters made? Watch this video!